The Centre for Mental Health has found that mental ill health costs UK employers an estimated £34.9 billion each year - the equivalent of £1,300 for every employee in the UK workforce. They found that simple steps to improve the management of mental health in the workplace will allow employers to save 30% or more of these costs – at least £10 billion a year. What support do you have in place for your staff to assist with your employees' mental health needs? 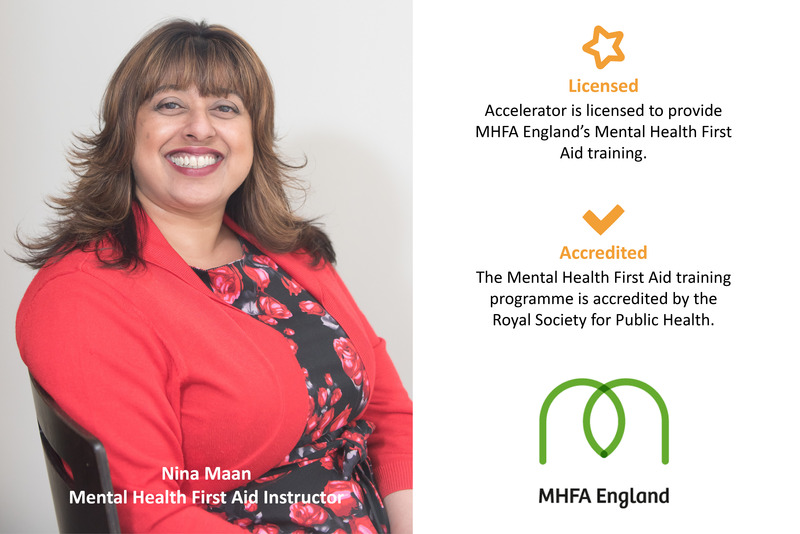 Accelerator’s delivery of the Mental Health First Aid (MHFA) qualified training is to help support you, your teams, customers, colleagues and even friends & family. Upon completion of the two-day programme participants become certified Mental Health First Aiders. They will gain an in depth understanding of mental health and factors that can affect wellbeing, as well as practical skills to spot triggers and signs of mental health issues so they can support a person in distress before it gets worse. 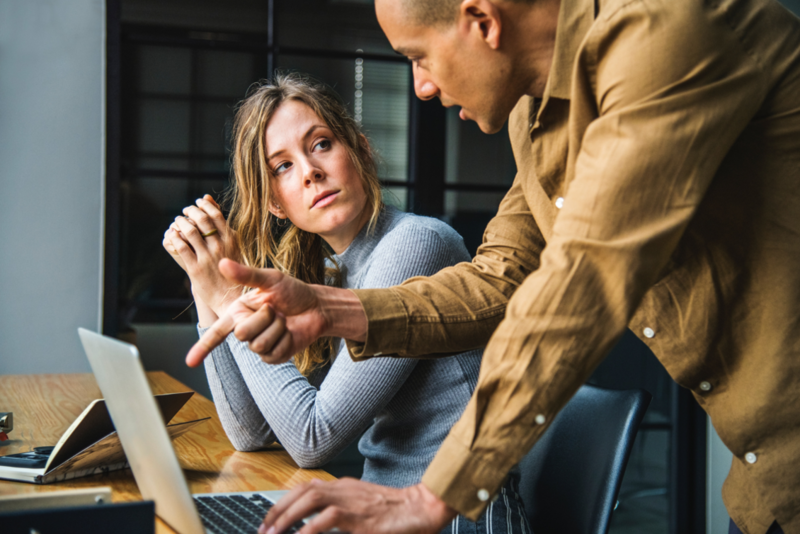 Accelerator bring almost two decades of professional workplace training experience into the field of mental health, so you will have the confidence in delivery and how the training impacts your employees. The Mental Health First Aid (MHFA) certified training is a mix of presentation, activity and group work based around a MHFA action plan. Nina Maan, Accelerator’s multi award winning Trainer and Mental Health Instructor, delivers the content in a highly engaging way but still keeps learning experiential and informative. Her 20 years’ experience in training from retail and travel to call centres and public sector, makes her delivery dynamic yet adaptable for any industry.